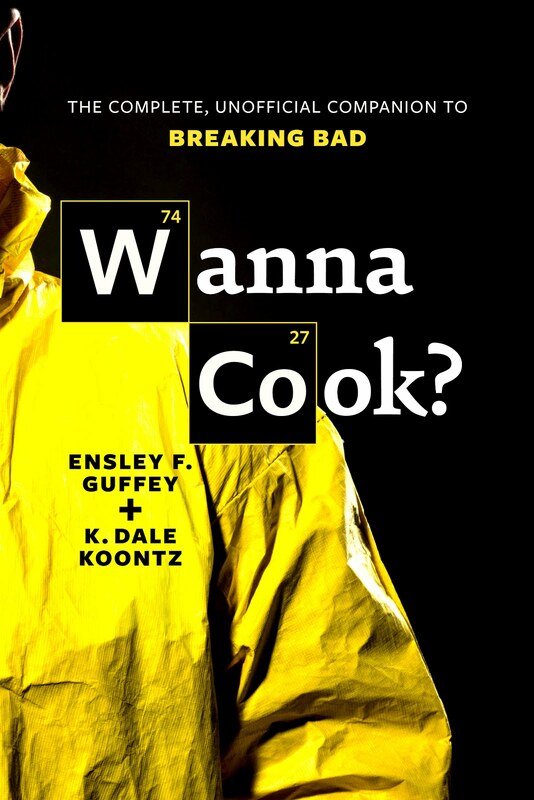 Meth Monday: 5 Days Until the Launch of Wanna Cook! 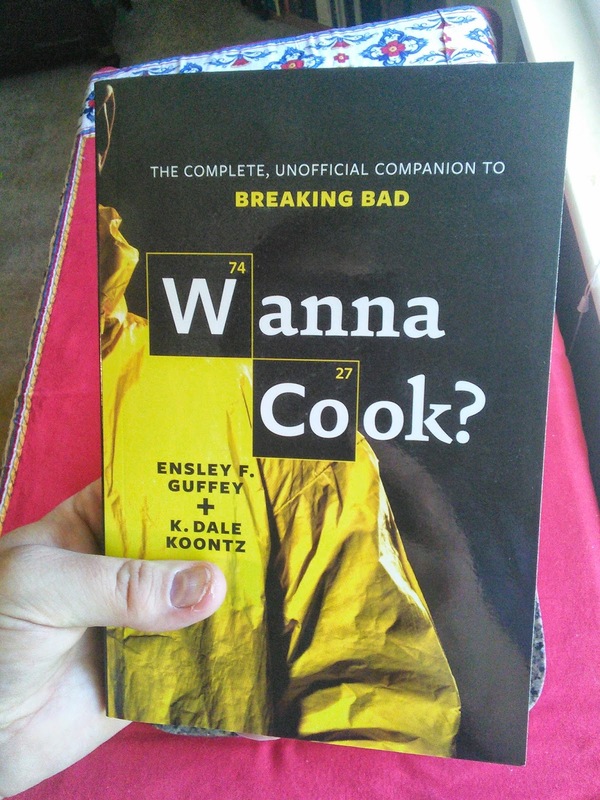 Well, okay, so Wanna Cook? is already technically launched, in that you can go to your local independent or chain bookseller or your favorite online retailer and order a copy of your very own right now if you want to (and you know you want to), but our big book-launch party isn't until Saturday. 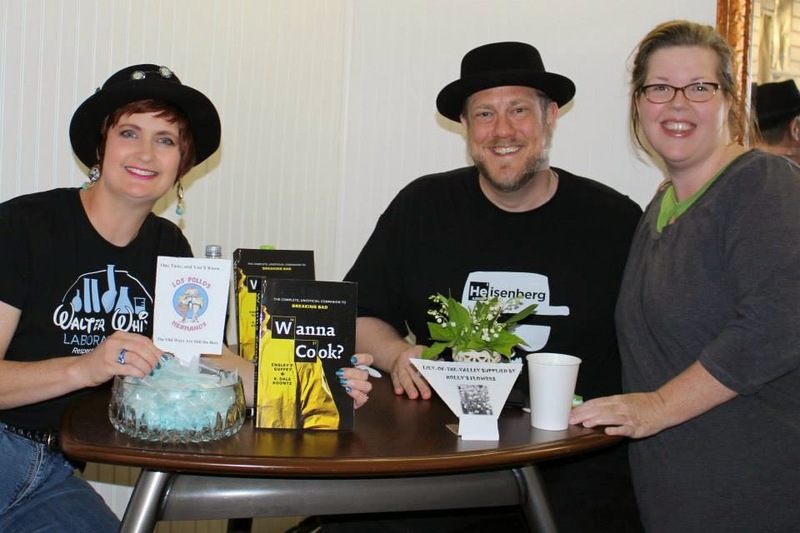 So come one and come all to Fireside Books in uptown Shelby, NC at 5 pm this Saturday, buy Wanna Cook? and get it signed by your loving authors while you enjoy some wine from Dragonfly Wine Market, and some nibblies from Ni Fen Bistro. The head on out into Shelby and enjoy Breaking Bad themed specials like the Heisenburger with Jesse's (blue nacho) Chips at Newt's Pub Burgers, or the Lydia Special of Blue Magic cupcakes and hot tea (add Stevia at your own risk!) at Lily Bean's Micro-Roasted Coffee, or bring your signed copy of Wanna Cook? with you to Pleasant City Wood Fired Grille to get 10% off of your order or to Joe's Place for a free house dessert with your dinner, or keep enjoying the fabulous food at Ni Fen by getting a free order of pot-stickers with your dinner when you show off your signed copy! Not to mention every other thing that's going on in uptown Shelby that day, like the Broad River European Classic Car Show, Arts on the Square, the Foothills Merry Go Round Festival, and the Foothills Farmers; Market to name just a few! So come out for a big day in Shelby, and top off your play day with an autographed copy of Wanna Cook! We start signing books at 5 pm, and we can't wait to see you! 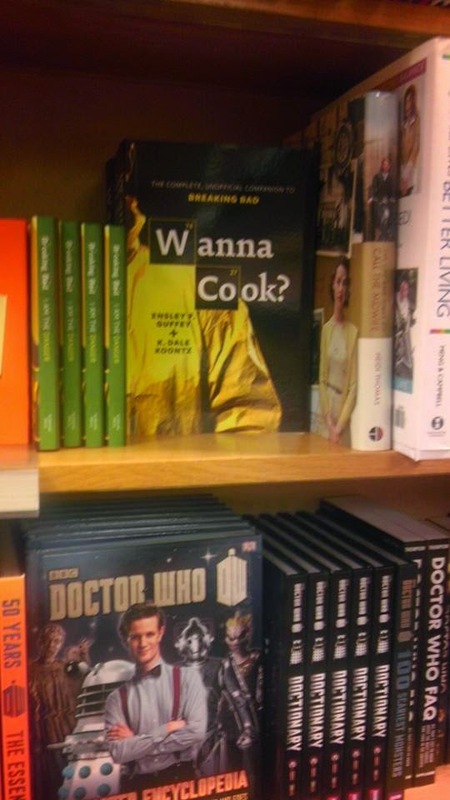 Wanna Cook? on the shelves at Books-A-Million in Akron, Ohio! Thanks to @UnpluggedCrazy for the pic! As you can see, Wanna Cook? is showing up all over the place. 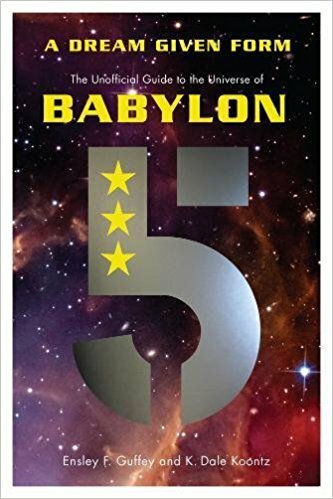 Seen it on the shelves of your bookstore? 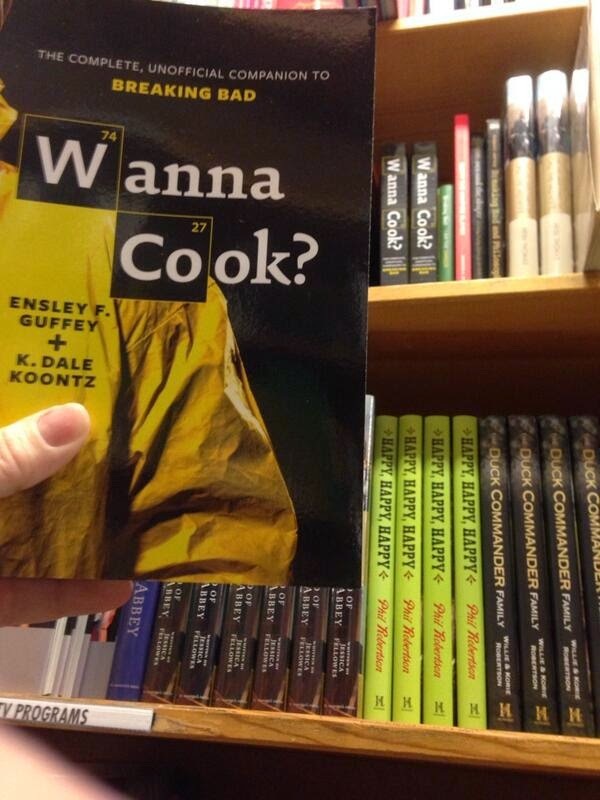 Tweet the pic to @KDaleKoontz and/or @EnsleyFGuffey with the hashtag #WannaCook, and we promise to reTweet and repost! Be sure to include the store's location too!